Whoa, a mother’s dream! I hopped out of my chair and began showing him several selections I had on my bookshelves. He chose Toys! Amazing Stories Behind Some Great Inventions by Don Woulffson. Soon, our evening meals started with the question “Did you know the Slinky was an accident?” or “Did you know Mr. Potato Head was actually a potato?” and on and on. One day at the grocery store, ten year old asked, “Hey, can I have some Silly Putty?” How could I deny my child some Silly Putty? He proceeded to play with the Silly Putty 24/7 for about three weeks. My toy inventor side was shocked that a $1.99 toy could keep him happy for that long. 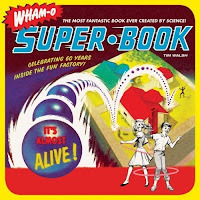 After that, I started thinking about other nonfiction books that could be combined with toys to create a connection. This November in my Play and Creativity in the Classroom presentation at the Chicago Toy and Game Fair, I explained how to combine toys and play with social studies, science, or math curriculums. I explained how using this kinetic learning is the best way for some students to retain information. 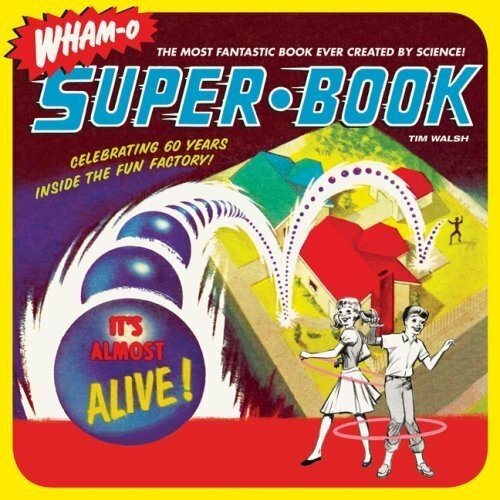 Classic Toys of the National Toy Hall of Fame: Celebrating the Greatest Toys of All Time! Remember that Sunday is Inspire Your Heart With Art Day! Let's Hear It for Library Volunteers! Twenty-three years ago, Huntington Beach, California held their first Children’s Authors Festival. I didn’t join the party until about ten years ago, but it’s one I look forward to each year at the end of January. It always takes place during the week of my birthday – which I gleefully announce – so I revel in a couple hundred kids singing to me and other January and February birthday kids. The Authors Festival serves HB and parts of two less affluent towns, so we authors visit schools across a wide economic stratum. Sometimes I sell several dozen books at the school, sometimes barely any. But that’s not the point. One year I arrived to a red carpet laid out as the kindergartners greeted me with a big banner. I burst into tears. This year I had four handlers to carry my stuff, show me around the cool open plan school, and best of all -- give me a tour of their one acre farm complete with pigs, goats, sheep, geese, chickens, and rabbits! Festival planning begins in May when one volunteer writes to elementary and middle schools – do they want one or two authors and illustrators, for lower or upper grades? In July another intrepid volunteer, Gail Page, applies for a grant from the Boeing Employee Community Fund, which has contributed $5000 for several years now. Come August, Gail contacts her authors. We send her a short bio and information on our presentations and books. The procrastinators get a nudge in October. Then in November school reps converge on the library to draw author names from a fishbowl. A bit of brokering goes on as trades are made, and in December authors and schools connect to coordinate the event. Meanwhile the Friends of the Library are hard at work. With the Boeing grant money they buy authors’ books for the school libraries to prepare for their presenter; they organize a students’ writing and illustrating contest with $1000 worth of prizes, and they arrange for an after-school reception at the town library. Posters, balloons, and a Barnes and Noble bookseller greet you in the library lobby. Each author displays his/her wares on a table to meet and greet the public – hundreds of children and parents from the four school districts served by the library. About forty intrepid Library Friends show up to make this all happen. We authors schmooze with each other, kids meet “their author” and many more, books are bought and signed, and contest winners receive their awards. When it’s all over, the library volunteers sift through evaluations from the schools to determine which authors will be invited back. Authors also evaluate the event to help the coordinators improve logistics. Then, a couple of months later, it’s time to begin work on next year’s Children’s Author Festival. Honorariums for the day are low. Schools pay $150 and the Friends add another $50. Some authors don’t participate for this reason, and I accept their decision. But for me, it’s a day to celebrate schools and books, my fellow authors, indefatigable school and community volunteers, and my birthday. I say good job, well done, Huntington Beach. The blog has started to bring me attention in unexpected ways. People have started to acknowledge the blog with awards and have been asking to interview me about how I successfully created the blog. The question is confusing to me perhaps because of the simplicity of the answer. I had an idea and worked at it. I took a lot of rejection. I cried and tried a little harder. I kept working. That’s it. Nobody else was really interested in this idea at the beginning. But I was, so I gave up other things and worked at it. Now other people are finding it intriguing and inspirational as I did from the very beginning. But back then I was all alone. This reminds me a lot of when my kids were little. I did things a little differently. I didn’t let them watch Disney movies when they were two years old, I didn’t buy them barbies or toy guns which all of their friends had. But I bought a lot of books. By the time they got to kindergarten, both kids could read very well. Parents asked me in astonishment what I had done. “I read to them, ” I said. No one had ever been interested in my child rearing approach before. I was the lone voice at playgroup in objecting to Cinderella. Now they wanted me to offer advice. The lone voice has stuck with me over the years. Just last week I was sitting in an education class designed to train student teachers. The instructor was screaming at us in an angry, aggressive manner while explaining to us that it is essential that we remain professional at all times. Apparently I was the only one to see the irony in this situation or at least the only one to speak out about it. Writing nonfiction has brought up many of these same issues over the last few years. I’ve felt like I have had a strong sense of what I wanted to accomplish, even if it hasn’t been done before. Yet while most of my rejections begin with “your writing is strong” it’s the inevitable “but” that follows that I haven’t been able to shake. I envisioned being outstanding in the field, but I now must admit to feeling only like I’m out standing in the field. I haven’t given up, not completely, although I have found myself on an extended hiatus over the last few months. I wonder if my new adventure in a classroom will bring any insight to my writing life. I’m anxious to incorporate nonfiction on a daily basis and see how I can play around with the curriculum. I’m fighting the urge to look up lesson plans on the Internet for some of my favorite nonfiction. I know the best thing I can do is to figure it out for myself. I got an email the other day from a parent looking for good mathematical literature to interest and challenge older children. Is there any? Which books would I recommend? 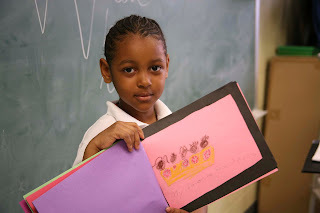 Before I describe a few of my faves, I must point out, as I did at length in my INK post of May 28, 2008, that many educators have inspired intermediate grade, middle school and even high school students with picture books, using them as age-appropriate teaching tools. I believe my most successful mathematical picture books are those that can be used on many levels. In fact, when asked the target age for How Much is a Million?, I often say, “Preschool through high school.” Actually, it’s not true. I should say. “Preschool through college,” but that answer might sound overly smug. (I have twice met college professors who use my book when teaching about Avogadro’s number, a behemoth number critically important in understanding quantitative chemistry.) That said, I will mention a few books that probably wouldn’t make it into the 2nd grade math classroom but should be a staple of math classrooms or libraries serving upper elementary, middle school and high school students. In The Number Devil by German author Hans Magnus Enzensberger, a middle school-age boy named Robert dreams of travels through the world of mathematics under the tutelage of an impish devil whom he at first finds annoying but gradually comes to enjoy and admire. At the start of the book, Robert is a mediocre and indifferent math student — no surprise, considering that his ho-hum teacher at school gives the students mathematical busywork without the least bit of mathematical inspiration. (His uncomprehending mother is no better: she believes a son who voluntarily speaks of mathematical concepts must be ill!) But Robert and the devil are on an irrepressible romp and together they challenge each other while developing plethora of mathematical concepts and meeting a pantheon of famous mathematicians. All names are whimsically disguised — Leonhard Euler becomes “Owl” (Eule in German translates to “owl” in English) and roots (as in square roots, cube roots, etc.) are called “rutabagas” (which are literal roots) -- just two of many such examples. Figuring out the conventional words for the concepts at hand just adds to the devilish fun of this 1997 book which is well on its way to becoming a classic. Flatland is not on its way to classic status: it’s already there. Like The Number Devil, it incorporates dreams but the concepts are geometrical rather than numerical. This novella, written in 1884 by English schoolmaster Edwin A. Abbott, is a pointed satire of closed-minded, hierarchical Victorian society but it is also, as Isaac Asimov put it, “The best introduction one can find into the manner of perceiving dimensions.” The story has been developed into several short films and a 2007 feature film; there have been TV episodes, a role-playing game and sequels by other authors. line domain. He also goes to one-dimensional Pointland inhabited by a monarch who is the sole inhabitant and, in fact, is the entire universe in and of himself! (He perceives any attempts at communication from the outside world to be his own thoughts.) Later, our narrator is visited be a three-dimensional sphere, which he finds incomprehensible until he accompanies Sphere to Spaceland. From there, the two discover that the leaders of Flatland know about Spaceland and a third dimension, but they prohibit their subjects from acknowledging it, under penalty of death or imprisonment. Square tries to convince Sphere of the possibility of fourth and fifth dimensions, but the notion is soundly rejected and Square is sent home in disgrace. It’s not a happy story but fascinating and uplifting in its own way, and, like the subject matter, the book has many dimensions. Mathematics: A Human Endeavor by Harold R. Jacobs is a wide-ranging mathematics textbook so deliciously fun and fascinating that kids actually want to read it. Even more astonishing, their parents and teachers can’t put it down either. As a college senior, I discovered its first edition (it’s now it its third) while volunteering as an enrichment provider to a select group of very sharp fifth graders, and I was hooked. Jacobs covers the breadth of high school mathematics with an emphasis on the beauty and power and real-life relevance of each subject. Aptly-chosen cartoons made me and my students laugh outloud, and we immediately saw that the cartoons weren’t included just for the guffaws. “An improvement over the square wheel,” pronounces B.C in the caption of one drawing as he flaunts his great invention: a triangular wheel. “It eliminates one bump!”Jacobs shows how B.C.’s thinking is dead wrong, and in so doing, he develops principles of polygons and the mathematical concept of limit: as the number of sides grows and approaches infinity, the polygon approaches a circle — the “wheel” with no bumps (road surface willing!). In lucid prose, the subjects range from algebra and geometry to probability, topology, statistics and more. Jacobs often shows how the math being taught is found not only in books but in life. This book has become a staple among alternative high schools and homeschoolers, but I find it so readable that it doesn’t have to be thought of as a textbook at all. Just the same, a teacher’s guide is available. This month I’ve invited Sandra Jordan, who has co-authored eleven books with me, to be my guest blogger. I asked her to write something about how we do research for our books about art and artists. When I read her remarks, I realized yet again how much fun we’ve had working together over the last twenty years, how much I value her friendship and warm heart. Our next book, Ballet for Martha: Making Appalachian Spring, comes out next fall. Her most recent picture book Mr. and Mrs. Portly (very funny!) came out last fall. Sandra Jordan: Not every artist Jan and I want to write about is living. What then? We can read original material, soak ourselves in research, but when personal interviews aren’t possible (and sometimes even when they are) how do we go beyond our research give ourselves the sense of connection to the artist that we hope to translate to the reader? One of our answers is road trips. Time spent in the library, in art archives is necessary. But for us, time spent on the road is just as necessary. Sometimes the travel is to view artworks. A trip to London to see a brilliantly curated Andy Warhol show that gave a new appreciation for the artist’s work. A journey up the river to Beacon Dia where a room full of Warhol’s Shadow paintings are displayed as he imagined when he made them. A walk around Storm King sculpture park in Mountainville, New York where no photograph can prepare you for the physical impact of spending an hour lying on the beams of Mother Peace by Mark di Suvero or clambering over Momo Toro by Isamu Noguchi. A quick trip to Washington, D.C. to look again at Lavender Mist, to get up close and squint at the way the color pooled to create a lavender effect (no purple paint), to trace in the air with our arms the sweeping arcs on the canvas and imagine how the artist felt. But sometimes we are looking further than the artwork. A trip to Edward Hopper’s childhood home in Nyack was intended to see how close the Hudson River was to the house (the answer is he could see if from his bedroom window). The unexpected benefit was a super-helpful docent who arranged for us to hear a tape recorded interview with a long married couple both of whom went to grade school with young Edward. On the scratchy tape their high old voices piped “Oh, nobody liked him.” “Nobody!” They agreed that he was too tall and awkward to be popular and said his peers had called him “Grasshopper.” ? At Hopper House we also saw an old video of Hopper and his wife Josephine being interviewed, footage that we hadn't found anywhere else. It was apparent to us that even though he was born in Nyack into an old New York family and spent most of his adult life in New York City, Hopper clearly was a Yankee, with a Yankee's dry ironic humor, certainly not a WASP. And once that is perceived, his laconic silences and plain spoken manner take on a different resonance. Another Hopper trip around Truro and Provincetown on Cape Cod where Edward Hopper and his wife Josephine spent their summers, yielded a dozen places that had been the subject of Hopper paintings. After a while everywhere we looked seemed like a painting. A climb up the very long set of stairs leading to the tiny historic Truro public library (then open only a few hours a week) led to meeting two native New England residents of the town who remembered Mr. Hopper very well. He was shy and polite they said with a very dry wit. They liked him, but when asked what books Mr. Hopper borrowed they exchanged glances and allowed as how he was interested in local history. Novels? Non fiction. Oh we couldn’t say, they said firmly. Obviously they could have said, but they wouldn’t. Mr. Hopper’s reading would stay Mr. Hopper’s business. The trips are also to get a sense of place. There was no one we met in Sun Prairie and Madison Wisconsin who offered memories of the young Georgia O’Keeffe but standing in that very flat place took her remark about her first memories being of the big prairie sky of “Light, light all around,” from intellectual to visceral. We went to Los Angeles to interview Frank O. Gehry and for two days toured various public and private Gehry designed buildings, including Mr. Gehry’s own iconic house. Then we spent many hours discussing our impressions of the materials, the spaces, and relationships in these buildings, trying to decide how to translate it into words for young readers. Does sitting for an afternoon on the crumbling cement pad where Jackson Pollock set up a big sheet of glass so the young photographer Hans Namuth could photograph his painting process give us a better understanding of the artist? Not the surface. Only a few traces of white paint on the cement remain of that afternoon. But the view is the view that Pollock saw every day. The long stretch out over the marshes to the bay is a sight he loved. He walked the property for hours at a time. He collected the boulders piled in the sideyard of the house as surely as he collected the jazz records lined up in the living room of the house. Dare we say it is a tender, even poetic feeling we take away from this place. Yes we do dare say so. That brawling, conflicted, hard drinking artist connected to the landscape and we come back again and again, at different times and in different seasons, trying to look beyond the facts, to see what he saw. We have piles of research, interviews, footnotes for everything, but how we choose what we say, how we select among the thousands of facts, quotes clamoring for our attention, that is often the result of our own rather subjective experience. Newbery Honor: “Claudette Colvin: Twice Toward Justice” by Phillip Hoose. Printz Honor: “Charles and Emma: The Darwins’ Leap of Faith” by Deborah Heiligman. Congratulations to my dear friend Deb, and fellow INKer!! Caldecott Honor: “Red Sings from Treetops: A Year in Colors,” illustrated by Pamela Zagarenski, written by Joyce Sidman. Coretta Scott King (Author) Book Award: “Bad News for Outlaws: The Remarkable Life of Bass Reeves, Deputy U.S. Marshal,” written by Vaunda Micheaux Nelson, and illustrated by R. Gregory Christie. Belpré Illustrator Honor: “Diego: Bigger Than Life,” illustrated by David Diaz, written by Carmen T. Bernier-Grand. 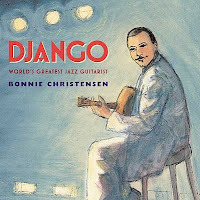 Schneider Family Book Award: “Django” written and illustrated by Bonnie Christensen. Another shout-out to a dear friend—Congratulations, Bonnie!! The last two awards round out the list and are, of course, dedicated to nonfiction. The shiny brand new YALSA Excellence in Nonfiction Award also went to Deb Heiligman (GO DEB!) for “Charles and Emma,” and the Honor Books were Sally Walker’s astonishing “Written In Bone,” “Claudette Colvin,” Candace Fleming’s “The Great and Only Barnum: The Tremendous, Stupendous Life of Showman P.T. Barnum,” (another peep I am proud to call friend) and Tanya Lee Stone’s “Almost Astronauts” (Hey wait, that’s ME!). And last, the Robert F. Sibert Medal, which differs from the new YALSA award in that Sibert is for younger readers and YALSA is for older readers. The Honor Books for Sibert are: “The Day-Glo Brothers: The True Story of Bob and Joe Switzer's Bright Ideas and Brand-New Colors,” written by Chris Barton, illustrated by Tony Persiani; “Moonshot: The Flight of Apollo 11,” written and illustrated by Brian Floca (Way to go, Brian! ); and “Claudette Colvin” written by Phillip Hoose (Congrats again!). 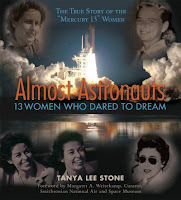 I am honored and humbled beyond belief to have been awarded the Sibert Medal for “Almost Astronauts: 13 Women Who Dared to Dream,” and am proud to stand in the company of so many great authors I have long admired. Getting “The Call” was something I had heard tell of from author friends in past years and never imagined actually receiving. There is something completely surreal about receiving a call out of the blue from a librarian who identifies herself as the committee chair of an award on the day before the ALA awards are announced. You are not quite sure you have heard right. You are not quite sure why the room is beginning to look a bit hazy around the edges. And you are definitely not aware that you are on speaker phone and that the rest of the committee is listening to your reaction to the stunning news that, indeed, you have been awarded the Sibert Medal. “Wait, the medal?” I managed to say, after repeated utterances of “Oh my goodness!” and “Thank you!” and “Oh my goodness!” My “Wait…the Medal?” was met with cheers and laughter in the background. This WAS real, and there were real live Sibert-committee-member-librarians on the other end of the phone! Congratulations to all the recipients from this year’s ALA awards—but special shout-outs to ALL the amazing nonfiction writers and illustrators who have contributed such stellar work to the body of informational books for kids! And now…I get to make The Call to the “Mercury 13” ladies from Almost Astronauts and tell them the good news! My adventures lately have been solely of the artistic kind...I have barely left the house for weeks because of an imminent deadline, so the process of illustration has been on my mind. People in my life are initially astonished to witness the effort that goes into creating the artwork for books, since the average reader usually only sees the final printed results. The piles of sketches and reference books, the frantic online searches, and the weeks and months that it takes are not obvious to the casual onlooker. To help explore this topic, a few of my colleagues at the Picture Book Artists Association have been kind enough to share some behind-the-scenes information about their books. What could be more daring than flying in your own homemade flying machine? 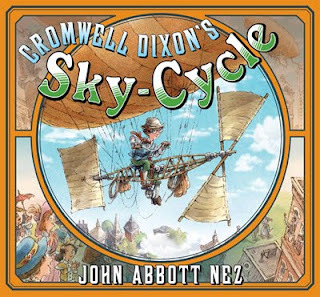 Cromwell Dixon’s Sky Cycle tells the amazing true story of America’s forgotten ‘Boy Aeronaut’, who built and flew his own flying bicycle over the skyscrapers of Columbus, Ohio in 1907. I’ve certainly never heard of his story, have you? By chance, author-illustrator John Nez came across an old photograph in the library and was inspired to track down the story. He found newspaper and magazine articles about the early aeronauts who tinkered together machines and tried to fly them. The book has several illustrations that feature inventions the teenage Dixon built in his workshop. Throughout, the artwork is full of period details. 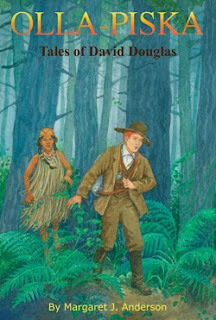 Olla-piska: Tales of David Douglas is a historical novel written by Margaret J. Anderson and illustrated by Ellen Beier. It’s based on the journal of botanist David Douglas, who explored the Pacific Northwest early in the 19th century and lent his name to the Douglas fir. To design the jacket Ellen first read the manuscript, which she found to be captivating. She searched online for images of Douglas to capture his likeness and find the appropriate clothes and tools. The author provided her with images of the grass clothing worn by the local Chinook inhabitants. A visiting photographer took photos of the wooded landscape that Ellen included in the painting. Inquiring minds may like to know that Olla-piska is the Chinook nickname for Douglas. It means “fire,” and refers to his practice of lighting a pipe with a magnifying glass using the sun’s rays. Ellen adds that the author has been in consultation about a movie about Douglas to be shown on PBS. Do you know anyone who is embarking on an adventure of the heart? 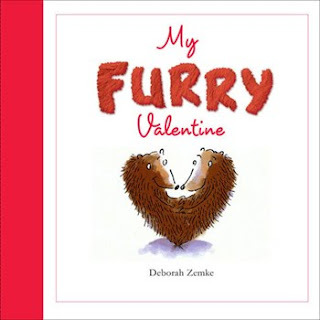 My Furry Valentine, written and illustrated by Deborah Zemke might give just the lighthearted inspiration they need. In whimsical verse, a variety of animals say “Be My Valentine” in their own way, such as a pack of wolves howling at the moon. To create this and related titles Deborah says, “I doodle, write, scribble, make lists of creatures and their different attributes, take walks, look at books about animals, plants, and nature, talk to my dog, think about aspects of the theme (e.g. what creatures would work with flowers, chocolates, looking deeply into each other’s eyes, etc. )“ She worked on the ideas visually and verbally at the same time and enjoyed being playful during the process. With 25 or so ideas, she looked for a potential beginning and end, put the other ideas in order (sadly removing a few), and worked on the rhyme. In addition to the illustrator’s typical task of arranging the images and words on the pages, she designed the die-cuts and flaps that would appear in the book. She drew the line work, scanned it into her computer, then digitally painted the final artwork. 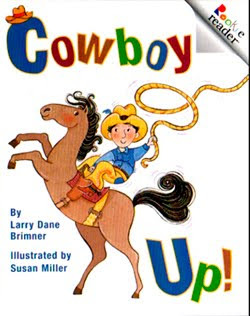 Very young readers will enjoy Cowboy Up! by Larry Dane Brimner, illustrated by Susan Miller. The simple story of a day at the rodeo allowed Susan to “fill in the spaces with my illustrations.” Because she grew up in Connecticut she had little direct experience with rodeos. So a visit to the local library provided short films as well as many books on the topic. She incorporated Western clothing, motifs, and colors into the book to create a fun adventure for the youngest readers. More artistic escapades will be forthcoming in future posts. Happy New Year, everyone! 1.Their students want to use only the internet. 2.They copy sentences directly from their sources when writing up their reports. I'm sure these two complaints are no surprise to anyone who works or lives with kids. I have a modest proposal for something to try, either in a classroom or at home. It is a kind of follow up to my last post about "Oh Wow" notes. 4.A person who knows something about the topic (an expert, or you could count a teacher or a parent or a friend, even--a classmate is good. Joe knows all about cars, so I am going to ask him to tell me something cool about how a hybrid runs). 6.A primary source (mostly for older kids, though if they are writing about, say, a favorite food, they could look at Dad's recipe for his very special blueberry pecan pancakes). After each child has found the three to five cool facts, it is sharing time. Go around the room, and have them tell their classmates and you (or members of the family or homechooling group) what they found out. Aloud. Repeat this assignment again if you feel like they didn't quite get it, didn't use three different kinds of sources, or didn't find cool enough facts. Assignment Two: Same as above, but this time they should choose something they think is interesting but don't know very much about. Maybe a little. Or they know about one kind of dinosaur, but want to know about another. Or car. Or dog breed. Or children's book author. Assignment Four: Assign them topics. You can be challenging to some of the kids who you think have got it down, and easier on some of the others and have them follow the same protocol. I hope those of you who do this will either comment on the blog and let us know how it goes, or email me directly at Deborah@DeborahHeiligman.com. I will share the results in a future post AND in a future post I will suggest how you take it to the next step--having them do research and then actually writing it in their own words. Here's a hint: you're going to have to hide their notes. Thanks for listening to my modest proposal. Hey, it didn't involve eating the kids. “If you would not be forgotten as soon as you are dead and rotten, either write something worthy reading or do things worth the writing.” So wrote the wily old Philadelphia printer, born way back in another, long-gone January. By way of the calendar adopted by the British Empire in 1752, when said gent was 46, today (the 17th, as I be typing) would be his birthday. If you’re reading this, you most certainly know that I’m referring to the remarkable, Benj. Franklin, a man of many a worthy word and deed. I didn’t like his cracking wise about John Adams’s sanity or lack thereof, but then, nobody’s seamless. The fact that today makes 304 years since yet another baby was born in the already-crowded Franklin household doesn't mean so very much, all in all. Noting birthdays is a little game, pretty much. A good excuse, as if one needed one, to have cake. An anniversary just reminds us to flick a glance in the rearview mirror, reminds us to remember an event and its meaning or the life of a person who came into the world on, perhaps, just such a day as this: snow melting outdoors, turned to filthy slop, making footing even more difficult. Folks worried, then and now, about money and about the future. B. F.'s birthday – It's Al Capone's b-day , too, and tomorrow? the 18th of January? that of Cary Grant  and A. A. Milne  – gives me a chance to remember writing about him and trying to envision him, watercolor-wise, as a boy, as a broad-shouldered teenager, and as a young businessman and father. What knocks me out about him these days is the fearless, systematic manner in which he took on wordsmithery. Just as he'd plunged into Boston's Mill Pond and taught himself to swim, this teenager set about reading. He inhaled what was being written, dissecting the grammar, the usage and flow of the words and reasoning that lay behind them. It was all part of his larger scheme, his plan - now here's where he really challenges me - to fully utilize the technology at hand: "A printer could publish his own ideas." [So I wrote, a few years ago in The Remarkable Benjamin Franklin] "If they were good and well-written, people would read them, then reader and writer would have better lives." There we have it. Thank you, Birthday Dude, for reminding me of the unchanging truth: Ideas have power. Sure, the technology has changed and is changing, blast it. And the printed page appears to be dying the death, but it's as true now as it was 304 years ago that ideas conveyed in words well-written have the power to better the lives of those who read them as well as those who write them. Just wanted to say THANK YOU so much for coming to the Ohrenberger last Friday; students & teachers alike are still all abuzz. The music teacher came up to me yesterday and told me he was so inspired that he is going back to work on his book. A fifth grader went home and started talking about character development with his parents. All of the first & second graders illustrated their group poem. I could go on and on. Please know that you both deeply impacted the school and we will always be grateful. ps. One more to add, Nick (SG: Mayre’s son) was putting On This Spot (SG: my book that I read to the kindergarteners) to music Saturday night—at the top of his lungs! These are all great reasons, aren't there? And hard to have predicted beforehand. Twain was famous for drawing on his own life as inspiration for his humorous writing, and equally frank about his comfort in mixing fiction in with fact to make a funny story funnier. For the biographer researching someone’s life, any autobiographical source is both utterly true and also, utterly suspect: we all tend to polish ourselves up a bit before putting ourselves on display. Twain just stated it up front. So, what’s a biographer to do? In the opening pages of her biography, Susy explained her motivation for writing it. Susy described his fine qualities (“He does tell perfectly delightful stories…”) and his not-so-fine qualities (“Papa uses very strong language.”) She described his work habits and how he often stayed up all night playing billiards. “It seems to rest his head,” she explained. She also painted a revealing portrait of Twain as a husband and father—how he played tennis with Susy and her sisters, made up silly arithmetic problems for them to solve, and relied on his wife’s keen editorial eye and moral compass to clean up what Susy called the “delightfully dreadful” passages in his novels. I knew when I stumbled across Susy’s diary that it would be a rich counterpart to Twain’s own ‘polished up’ version of his life’s story. “This is a frank biographer and an honest one; she uses no sandpaper on me,” Twain wrote in admiration. Susy declared her father to be “extraordinary.” Susy’s biography reveals a girl who was pretty darn extraordinary, herself. For more information on Susy’s writing process, see my web page flyer, Writing an Extraordinary Biography. To write nonfiction, you have to like research. I mean really like it a lot. You have to like it so much that sometimes it’s hard to know when to get the heck out of Dodge and move on to the next step in the process. What's my favorite kind of research? Firsthand research, especially when it takes me to exotic places like the African savanna or a coral reef or a tropical rain forest. As far as I'm concerned, it's the best part of my job. Nothing beats observing animals in their natural environment. This kind of research provides key tidbits of information that are often missing from authoritative books and journal articles about wildlife and wild places. Here’s an example. When I went to Costa Rica with my husband’s family, one of the animals on my wish list was a three-toed sloth. I was soooo jealous when my husband and brother-in-law spotted one while I was scouting out birds along the river. But my patience was rewarded. A few days later I saw one, well, actually two. 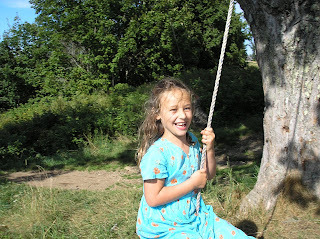 My 7-year-old niece (shown here), spotted a female sloth hanging upside-down with a tiny baby clinging to her. It was a wonderful sight, especially since I shared it with my niece. She was completely enthralled. But let’s be honest. 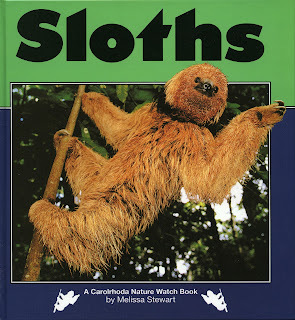 So was I.
I blended my observations of the sloth with my husband’s description of his sighting and my general notes about the rain forests we hiked through to create the opening of my book Sloths. Deep in a Central American rain forest, spindly spider monkeys spend their days chattering as they leap from branch to branch. Above them, toucans call out to one another as they fly among the treetops. Far below, on the forest floor, butterflies flit among the leaf litter. The woodland is alive with sound and activity. But one rainforest animal remains silent and still. It is the sloth. All day and most of the night, this shaggy-coated creature hardly moves at all. It hangs upside down and does its best to blend in with its surroundings. Honestly, when work is this much fun, who needs a vacation? Van Gogh and Cezanne liked to paint together. Although they worked in front of the same landscape, their own vision and talent led to totally different canvases. Sharing spaces of various kinds often encourages creativity. Many of us have been sharing this space by writing about our school visits. Your experiences have helped me discover, not copy, new ways to do school visits. In that vein, I’d like to tell you about a school visit I recently made with some very special colleagues. Authors are used to working with teachers and librarians in preparation for a school visit, but I for one had not created a common project with other writers, much less with three other writers. First off, we ate very well – in New Orleans, for sure, but also during planning sessions in New York. We met for breakfast at Le Grainne Café in Chelsea. After the first of endless cups of coffee, along with detailed meal orders, we set to work. Each of us brought to the table initial ideas about what we wanted to do and how we were going to do it. Everyone’s proposal was different. The trick was to turn these differences into a creative whole. [In fairness to my colleagues and our commitment to write about the entire project on the website of our sponsor, PEN, I will only write about the initial planning of my section of this project.] And in fairness to you, dear readers, I will stop writing about food. Since our chapters were to be based on our latest books, my third grade class would create its own photo essay about dancing. Cheryl Asiola, the teacher who volunteered her class, agreed to do some advance work. Before our arrival, the students would each receive a copy of my book, Beautiful Ballerina, to get a sense of how to represent language with photographs. They would be put into four groups of five. Each group would choose the dance that best represented themselves or their city. Once I arrived with camera, PhotoShop, and computer, the students would take turns photographing each other, doing interviews with each other, editing both the pictures and words, and making a layout for their chapter of the book. This process is usually a year’s work for me. We had four days. The four authors immediately focused on the numerous catch-22s imbedded in my proposal: If one person per group became the photographer, that person would not be in the photo. If the students took turns taking pictures, the chapter would be much too long. Someone was going to be left out – an absolute NO-NO. Also, I moaned to my colleagues, and this is a little nasty, nobody touches Susan’s cameras but her long-time assistant. The cameras are calibrated just so and I worry about changes or breakage. As the gang of four listened to each other’s sticking points, suggestions flew around the table. Insurmountable conundrums were quickly resolved. No problem seemed to be too big or too small. Some solutions were so obvious I wondered, “Why didn’t I come up with that?” It takes a village – a village of wonderful, experienced writers. Day One: I would spend about an hour working with the kids about writing and photographing a photo essay. Then, the rest of the day was devoted to photography. I will take the photographs! Each group will choose an area in the classroom that would become their stage. The nonperforming students would be the audience and vocalists – clapping and singing for their dancing friends. Day Two: students in each group will conduct interviews using some of the techniques discussed the previous day. Ms. Aisola and I will go around and give each group personal attention. In the afternoon, all the photographs, downloaded into my computer the night before, will be shown on a large screen. The students would then choose their favorite pictures. We’ll talk about what makes a picture good. Day Three: Match the words to the pictures. Edit. Copy edit. Edit more. Additional time saved for more photos, if necessary. Day Four: Put the photo essay together. Upload the essay onto the big screen for one final edit. Finally, a very important part of the project: meet with the other authors, teachers, and classes for a celebratory pub party! Once we actually got to work there were changes and setbacks, including the threat of another hurricane which shortened our time even more. Going on the road with Robie, Liz, and Fatima was an intense, bonding, serious, fattening, laugh-filled experience. I highly recommend group school visits. 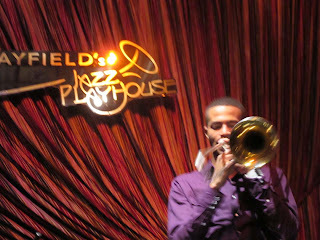 One more thing: the jazz was fabulous! There are so many reasons I love my local public library, the Sherwood Regional Library. One of 23 branches in the Fairfax County, Virginia, Public Library System, it's only a couple of miles from my home. I can walk there in about 30 minutes, bike there in 10 minutes, and drive there in practically no time. Dogwood trees and oak-leaf hydrangeas are planted on either side of the entrance. There's a bustling children's section, where my children and I spent many happy hours when they were younger. And at the back of the library there's a quiet reading room with floor to ceiling windows. Over the years I've spent a lot of time there working on my books. Every Tuesday morning from May through November there's a farmers' market in the library parking lot. Can it get any better than that? Actually, it can! Another reason I love my library? The wonderful librarians give prime real estate to new children's nonfiction. One of the first things you see when you enter the building is a bookcase with a big sign on top of it that says "Brand New Juvenile Nonfiction." The other day I asked a couple of the librarians why they had chosen to give these books such a desirable location. ("Brand New Fiction," by the way, is shelved on the back of this bookcase, away from the entrance.) "Well," one of them told me, "we’re proud of our nonfiction collection and we want to show it off. We want to attract readers for these books, and this is just about the only time they can stand out. Later on most of them will be shelved with the adult nonfiction, and unfortunately, it’s pretty easy for them to get lost back there." (Sigh...) The other librarian I spoke with told me that the books just fly off the "new nonfiction" shelves, and that they're especially popular with boys. "We have such a hard time keeping new titles on these shelves," she said, "that we sometimes have to put out older books." Then the older nonfiction books get snapped up. It's all good. One more reason I love my library? One of the librarians told me that their copy of Helen's Eyes has been checked out so many times that it's starting to fall apart. She's had to tape it back together. Music to this author's ears. Put Up Your Dukes, Sharon! Sharon McElroy was worried. Was I suggesting that, as a science project, kids should sit in the mall food court observing families to see which of two siblings got the most parental attention?That could be a problem, she told me. Just as any social science research must be approved by a Scientific Review Committee (SRC), a student doing a science fair project must get clearance from their Internal Review Board (IRB) prior to doing any work involving human subjects, any living subjects actually, and the reason is to keep anyone – or any living thing – from coming to harm. And here I was, suggesting that they spy? What if…? Sharon is the teacher adviser to my series Science Fair Winners, published by National Geographic Children’s Books. She’s an esteemed high school teacher from Indiana, and the winner of the Presidential Award for Excellence in Math and Science Teaching and the Intel Excellence in Education Award. National Geographic picked her because her success in science competitions and her work on national and international science fair committees prepares her to offer advice regarding the projects in my books. Sharon’s role was to make sure the projects made it simple for kids to do science work that was interesting, that was safe, that met science standards, and that wouldn’t violate the rules. And here she was, suggesting that my projects might get kids kicked out of science fair? As if! Our NG editor did the rational thing. She pulled us out of the boxing ring, sat us down in our corners, had us pour ourselves a cup of coffee, and set up a conference call. Putting together Family Science (due out in May) hasn’t been easy. YOU try coming up with 20 science workshops that involve family members – your own or someone else’s -- including those with four legs and two legs, the old and the young, the quick and the dead. Make sure the science is good (meaning that the observations are measurable, the experiments can be replicated, and the conclusions are based on real data). Make sure the science is current, that it relates to work actually being done in the field, and that the questions it raises promote further knowledge and understanding of concepts and processes. Focus on fields that kids don’t typically get into in middle school, such as psychology, sociology, anthropology, or genetics. Consult scientists for their thoughts on how kids can do a version of the studies the scientists really do, and include advice for young scientists on how to get into their fields. Keep it exciting, simple, sincere, safe, and legal. And, most of all, keep it on the middle school level. Hit ‘em where they live: sibling rivalry, babysitting, afterschool activities, and hangouts like the park and mall. The purpose of these books is to give middle schoolers guidelines to being a scientist at a young age. Sharon tells me a story about one of her former students, a boy named Paul Lynch. Paul’s younger brother used to lose at video games and get up and yell and kick. Paul asked Sharon what she thought the cause was: was his brother mad at losing? Or did the video game make him more violent? How could he find out? Sharon helped him get started. These days, Paul Lynch has contributed loads of research to the question of violence and video games. He is now an M.D. (You can google him.) And he began his work by considering a situation that he observed in his own home. I wish every student could have a teacher like Sharon McElroy to help him or her figure out a way to study social science. And I’m grateful to have her helping me navigate the rules of science fair committees so that the projects in my books can potentially light the fire inside more social scientists. 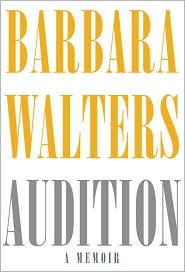 I recently read Barbara Walter’s fascinating memoir Audition. If you envy her life she says, “Then you have to take the whole package” complete with plenty of failures, heartaches, and sacrifices. The title of her book refers to her perception that she was always trying out, always subjecting herself to the judgment of other people and, of course, her audiences. I can relate to that. Every book I write and almost every performance or talk gets reviewed, often publicly, sometimes anonymously. You’d think that after all this time a less-than-stellar review would get easier. In some ways it does. But last week I discovered that my skin is still thin in places and that criticism has its place. I’m learning about performing in a new medium--videoconferencing. I did my first two school visit videoconferences right before Christmas vacation. The first one got a rave review from teachers and kids and the second lukewarm approval—not negative but mixed and somewhat confusing. Since I had repeated the program and the kids in both presentations seemed similarly enthusiastic and attentive, I could only wonder what caused the difference. Tepid approval is not good enough for me. I need to “knock ‘em dead!” every time. I was reminded of an incident in the past when I received a devastating evaluation. I had been hired by a California educational company to give a week’s tour of day-long inservices for teachers (the toughest of audiences). I prepared an extensive program of hands-on science activities based on my books. Thinking I would make things easier for the teachers, I attributed each exercise to the book I took it from (I also gave them handouts of with all the material copied from the sources). At the end of the day I read my evaluations (always a humbling experience). There was one frequent criticism: “I didn’t spend all this money to listen to a book commercial.” Dagger to the heart! What was I to do? I had to get up in front of a similar group the next day and I had no program other than the one I had so diligently prepared from what was in my books. Now back to the present. The first videoconference had been set up by the school district media supervisor. She worked closely with two librarians who collaborated directly with their teachers. There was a lot of advance work, which also involved the support of the technology teachers (yes, a lot of schools have them now.). The second videoconference was set up five days before the date by the technology teacher who found the program “Science Surprises” listed on the CILC website. Since I need an extra computer projection set up to show videos during the presentation, I needed to talk to this teacher. When I explained what I wanted to do—show videos of kids doing science activities from my book—she said, “I’m not hiring you to do a book commercial.” Obviously I’m now dealing with yet another teacher who doesn’t know about children’s book authors. I explained a little to her about what we authors do for school visits and I asked her to get her school librarian involved. That didn’t happen. Not enough time. When I received her evaluation the next day from CILC I could sense her disappointment. Immediately, I went to my write-up of the program and inserted a paragraph about collaboration between librarians and teachers; something that needs to be fostered at every turn. Definition of a “Learning Experience:” what you get when you don’t get what you want. Barbara Walters never stopped being open to them. Neither am I. Happy New Year everybody, and welcome to the first I.N.K. blog of 2010. In honor of finding some firsts in nonfiction, I thought I’d try to dig up a few books with great first sentences or first paragraphs; the kind that surprise you at first glance and pull you into a first-rate story right away. Jean Fritz - Where Do You Think you’re Going, Christopher Columbus? So. If you think of any books that include your favorite first sentences, please be the first to send them in! First things first; these evocative examples help the authors among us remember that our work has to shine from the very beginning. Welcome back! We were supposed to have a brand spanking new version of I.N.K. News today. But I guess everyone's still hibernating from the harsh cold and the back to work/ back to school schedule because, well, nobody sent me anything. Nope, not a peep. So I'll take this opportunity to proudly share some old but good news. I.N.K. received first runner up prize for best group blog from the Edublog Awards for 2009. Please see the snazzy award icon on our sidebar which links to their site. Much more to come in 2010. I think. Yeah, I'm pretty sure.